lauw-warm geserveerd op venkel-citrussalade met citroenmayonaise. 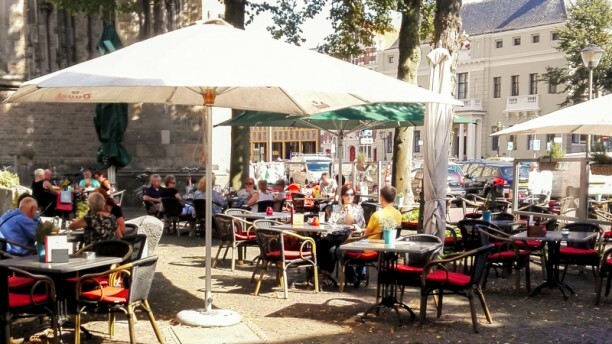 You find De Rode Kater at the foot of historical Lebuïnuschurch in Deventer, a spot you will not forget! On the terrace that is mostly sunny you will be impressed by, not only the sun, but the perfect view as well! Enjoy a cup of biological coffee, home-made cake or a deliciously baked "oerbroodje". Enjoy the view and the nice food!